There's no doubt that robots are our future. They're becoming more influential in our everyday lives, especially when it comes to making our lives easier. They enhance our lifestyles and health, providing us with the products that we love at a quicker rate. According to the Boston Consulting Group, robots currently perform about 10% of all manufacturing tasks. But in 2025, the number will jump to 25%. This means robots will perform a quarter of our manufacturing. Having robots perform manufacturing tasks will cut down on company costs and ensure that the products we use are the most efficient. You can't discuss robots and their roles in our lives without bringing up one major concern: robots taking "our jobs." But this isn’t the case at all. Based on Metra Martech's market research, 3 million jobs have been created by the 1 million industrial robots currently in operation. The International Federation of Robotics (IFR) reports that in 2014, the worldwide industrial robot sales increased 29%, selling 229,261 industrial robots — the highest level ever recorded in one year. IFR also reported that by 2019, the number of industrial robots deployed worldwide would increase by 2.6 million units. About 70% of those industrial robots currently work in the automotive, electrical-electronics, and metal machinery industries. This positive direction is expected to continue growing by a steady 13% per year from 2017–2019. According to Loup Ventures, the market for industrial robots is expected to grow by 175% over the next nine years. 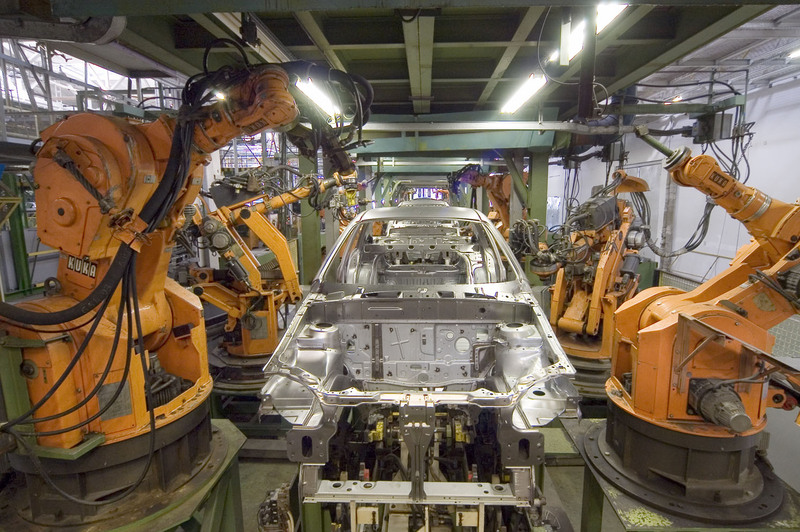 Robots aren't limited to being used in industrial and manufacturing settings. The desire for service robots for personal and private use has increased significantly. These robots operate semi- or fully autonomously. They provide services that are beneficial to humans and equipment, excluding manufacturing operations. These robots are capable of autonomous decision-making in real environments to complete desired tasks. Some examples of service robots include those that are designed to vacuum floors and provide companionship. Robots are playing an important role in medical technology and health care. Robots provide medical professionals with a heightened level of precision in their operations and help to improve patient care, save costs, and reduce waste. Robots have started assisting doctors in operating rooms to enhance the surgeons' skills. Though obviously not replacements for surgeons, these robots help hospitals in providing the best patient care possible. Robots are becoming cheaper and more accessible to medical professionals and hospitals. This increases the desire to incorporate them into medical procedures and everyday tasks. There's no doubt that there will continue being an immense growth of robots in the health care field. And even while the presence of robots in our medical system is expected to increase, Robots are still already busy in our medical systems. The Center for Disease Control and Prevention (CDC) presented data demonstrating that one in every 25 patients will contract an infection while in a hospital. And of these patients, one in nine will die. A robot called the Xenex could help with this problem by constituting a higher level of hygiene hospital-wide. The Xenex robot is more effective at causing cellular damage to microorganisms. This makes them very effective as disinfectants. Unmanned Aircraft Systems (UAS) — drones — have taken military technology and defense to the next level. These systems have given the military new, innovative ways of providing security and defense. Drones perform intelligence and surveillance missions. They have the ability to fly in territories deemed too risky for any military personnel to explore. Drones are also targeting and attacking military enemies. Biases aside, drones serve their purposes in the military and continue being crucial components of military defense and security. Tractica, a market intelligence firm focused on human interaction with technology, is forecasting that the industry will grow from $28.3 billion worldwide in 2015 to $151.7 billion in 2020. IRobot Corporation designs and builds personal-use robots for consumers. The robots produced automatically complete tasks like vacuuming, mopping, scrubbing floors, and cleaning pools and gutters. iRobot's most popular product is its Roomba vacuuming robot. The most recent addition to the Roomba series is the Roomba 860. This robot removes up to 50% more dirt, dust, hair, and debris from all floor types. It's able to detect dirt and debris and also concentrate its cleaning efforts to the areas that need it the most. This robot is designed to be low maintenance and to clean your house on a schedule that works best for you. It's easy to use, easy to clean, reliable, and has the ability to charge on its own between cleanings. The Roomba has an 85% hold on the North American robotic vacuum market. And 60% of the international market is using iRobot's Roomba vacuuming robot. In the past year, iRobot's business grew 8.2%. And even though a robot that vacuums or mops doesn't seem like the most exciting robot on the market, that doesn't mean there isn't a demand for it. ABB is a global provider of power and automation technologies. And it's most known for its robots used in industrial and manufacturing settings. ABB's line of robots is used to increase productivity and reduce a company’s total costs. ABB's YuMi is the first robot to work with people while still maintaining a safe environment. YuMi is a dual-arm robot capable of working in small parts assembly. The advantage YuMi has over other robots is that it can be installed into work areas currently only used by humans. IRB 8700 is a robot that's able to take high payloads. It's 25% faster than any other robot in its size class and provides customers with low-maintenance care and a low total cost to own. AeroVironment designs, develops, supplies, and operates unmanned aircraft systems (UAS) in the U.S. and internationally. It's sold at least 25,000 drones to the military and other customers in the 10 years that it's been designing and developing drones. The most prominent and ongoing customer base for its UAS is the military. With such a strong customer base, AeroVironment is able to outperform its competitors and is able to make up 90% of the UAS market. The company's most popular drone, the Raven, is the most widely used UAS in the world. The Raven can be operated manually and programmed for autonomous operation. It's designed for quick deployment and for any military applications requiring low-altitude surveillance. Another widely used drone in the military is AeroVironment's Switchblade. This drone can be remotely piloted and programmed for autonomous tasks. It's able to quietly propel itself to provide real-time GPS coordinates and video for targeting, intelligence, and for object recognition. The Switchblade is a popular tool for Army operations because of its difficulty to be detected and its precision toward a target.